Paranormal investigators are investigating one of the biggest mass UFO sightings since the Phoenix Lights Incident. The Phoenix Lights incident 20 years ago is still seen as unexplained by some UFOers. The National UFO reporting Centre (NUFORC) based in the US has been inundated with witness accounts about a series of UFO sightings on April 25 over parts of Florida. The reports were submitted in rapid sequence by witnesses in multiple locations in Florida. "Three adult witnesses in Largo reported having had a disc-shaped object descend out of nearby clouds, and hover briefly near their residence in the night sky. "They report that the object suddenly darted back into the same area of the sky from which it had first come, disappearing again into the clouds." The first report came from Bradenton at 8.40 pm when three orange lights were seen in a triangle formation. 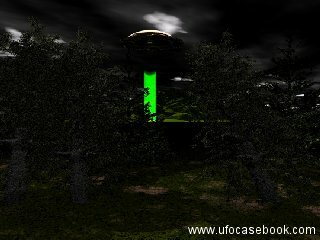 There were 11 further reports of odd airborne activity between 11 pm, when at Jupiter, "something traveling in a straight line leaving a trail of fire or sparks" was seen for two to three minutes, and 1.47 am, when, in Orlando, "eight spherical balls of light' emerged from the clouds. The spectacle went on for three to four minutes when they "whipped back and forward across the sky in a straight line, then stopped and formed a circle and began to rotate around each other and form different shapes, "according to a witness report. Approximately a dozen high-quality sighting reports were submitted in rapid sequence by witnesses in multiple locations in Florida. *11.45pm Apollo Beach - A "high-speed circular object moving west to east just south of MacDill US Air Force base was seen for 30 seconds"
*11.52pm West Palm Beach - "green flash/meteor-like objects breaking up for three seconds"
*11.53pm Seminole - unidentified "huge silent object seen for ten seconds"
*11.53pm Plant City - "Very low-flying cylinder craft with mostly green lights that trailed behind it for 20 seconds"
*12.00am Largo - A "dark-coloured plane with all the windows lit like the lights were on in the plane" was seen for ten to 15 seconds. Although many UFO sightings often have rational explanations, a small number truly are unexplained. Here's our pick of the most compelling UFO sightings from all over the world. There was another sighting at 12.27am at Pinellas Park, when for 15 seconds, a "plane with a red blinking light seemed to be pulling what looked like a sparkler." It reportedly went into a cloud and stayed stationary.
" NUFORC says it usually receives just a fraction of actual UFO sightings, so expects many more people to have seen something and urges them to come forward. The infamous Phoenix Lights incident happened on March 13, 1997, when five lights were seen in a formation by thousands of people over three hours from 7.30pm to 10.30pm. The sightings took place across a 300-mile area from Phoenix to Tucson. It is considered one of the world's biggest ever mass UFO sightings but was later blamed by officials as military flares at the time. (flashing lights) dancing in the sky. ..
On Thursday April 27, 2017 at approximately 7:30 pm in West Kelowna, British Columbia, I was traveling home with my 3 daughters. My 6-year-old daughter said 'Daddy, what are those flashing lights in the sky?' I was traveling in the southwest direction and I looked up to my left and I noticed several (approximately 6) flashing lights up in the sky that appeared to flashing and what I would describe as dancing in the sky. At first, I wasn't sure what to make of them. I thought they were some sort of flares or even military aircraft doing some sort of exercise. But since I live in the Okanagan valley and there is no Air Force bases in the area, I knew they were not any of conventional military aircraft. The objects that I was observing were absolutely silent. 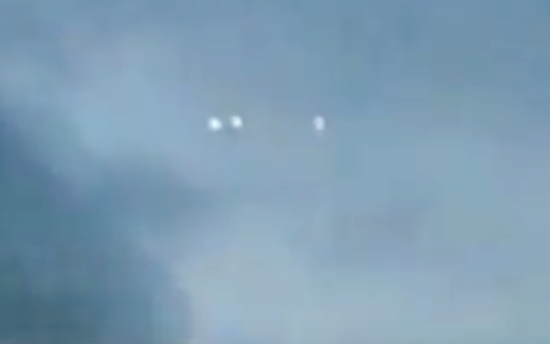 Given the way these objects were moving in the sky, I then realized that what I was witnessing was not a normal or easily explainable occurrence and was most likely Extra-Terrestrial in nature. I quickly pulled off to the side of the road and grabbed my phone got out of my vehicle to start video recording the lights. That's when I noticed a second group of (approximately 4 or 5) that suddenly appeared below the first group. They looked like they were flying closer to Okanagan Lake before the flew upward to join the first group. The two groups formed two separate formations and proceeded to fly eastward towards Kelowna. I had my camera zoomed in and locked on both groups and continued to record them as they were flying away. Or so I thought. After approximately 20-30 seconds of 'recording', I realized that I didn't actually hit the record button on my phone. I quickly hit the record button and was able to zoom in on the luminous objects as they were flying away. I was able to record the lights, (which were flying in two groups, one approximately 6, the other approximately 4) for about 30 seconds until they essentially were out of sight. Important points: Although it was early evening and the sun was starting to set, there was still plenty of daylight outside. These objects were extremely bright in the sky. I am absolutely certain they were neither airplanes of any type or birds. The objects appeared to be well below the clouds when I first noticed them as well as below the tops of the mountains. The second group of lights appeared tore flying lower in the valley near the lake, although it did not occur to me at first but what I witnessed I would describe as orange glowing orbs since I did not observe any sort of metallic craft with any visible lines; only lights. The objects that I observed were absolutely silent.